The hottest singer on the planet is touring Europe and will perform two concerts in Houston this fall. 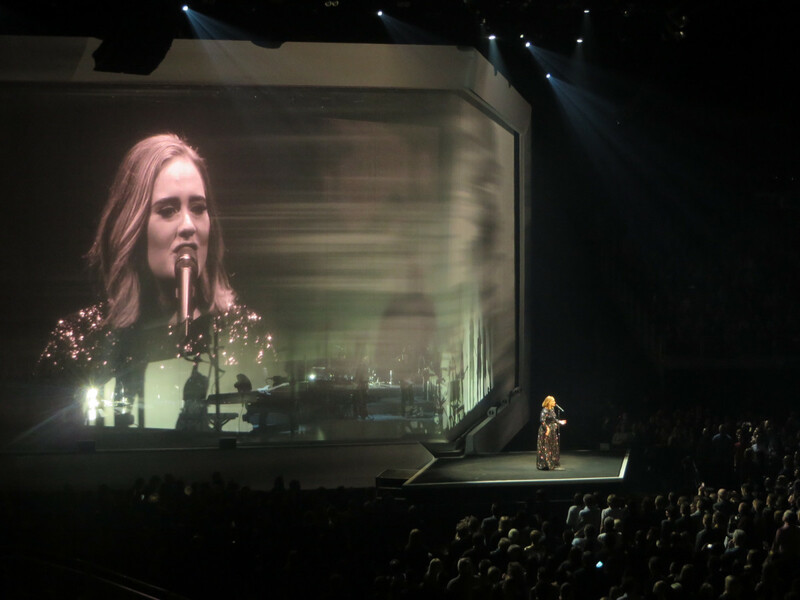 I could not wait that long to see Adele (and her Houston concerts in November are sold out), but through nothing short of a miracle, I ended up with two tickets to her opening night concert earlier this week at the legendary O2 arena in her hometown of London. 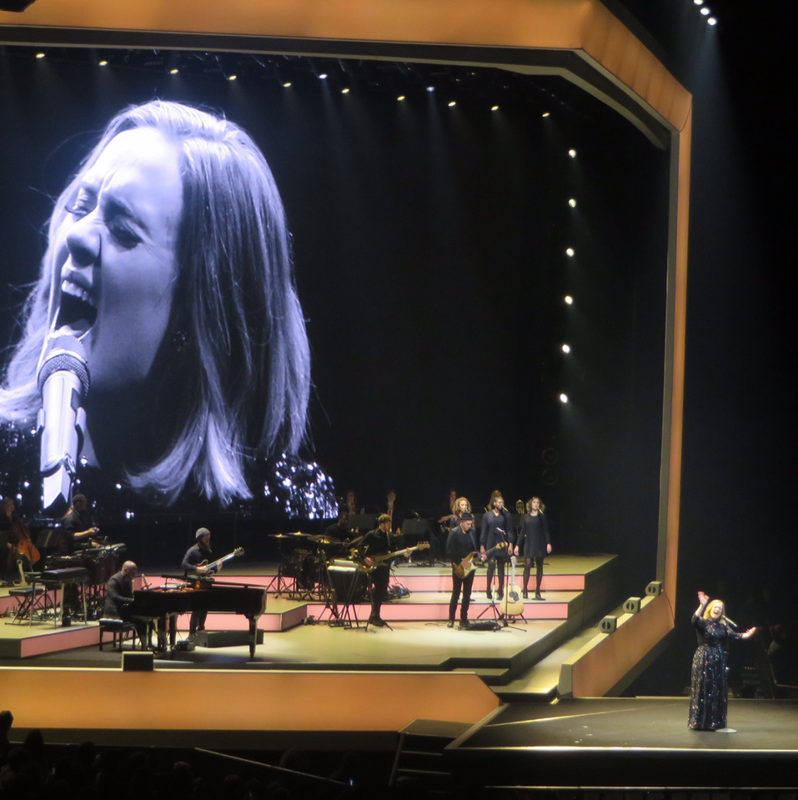 Starting at 8.15 pm, and rising from the floor at a small stage in the middle of the arena, Adele belted out the opening chords of “Hello” to ecstatic cheers from the sold-out crowd of upwardly mobile, stylishly dressed, black-clad professionals. Her voice was so clear, intimate and powerful, and the moment so dramatic that, it brought tears to my eyes. She quickly launched into “Hometown Glory” from her first album, 19, to a backdrop of black-and-white pictures of London and a spectacular picture of O2. 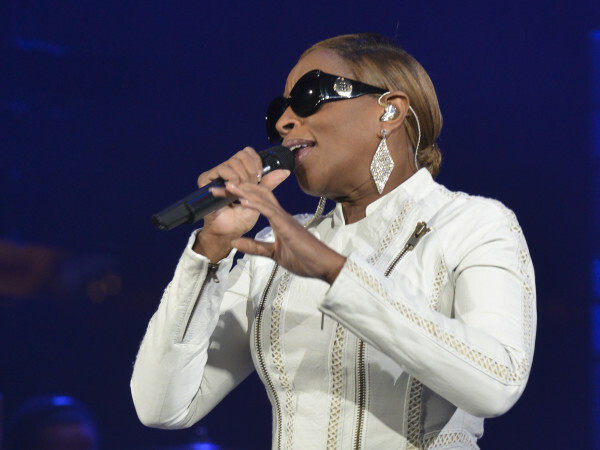 After singing “One and Only” from her album 21, the curtain raised to reveal an 18-piece orchestra that included an eight-piece string section and three backup singers. And then Adele reminded us of why we all love her. 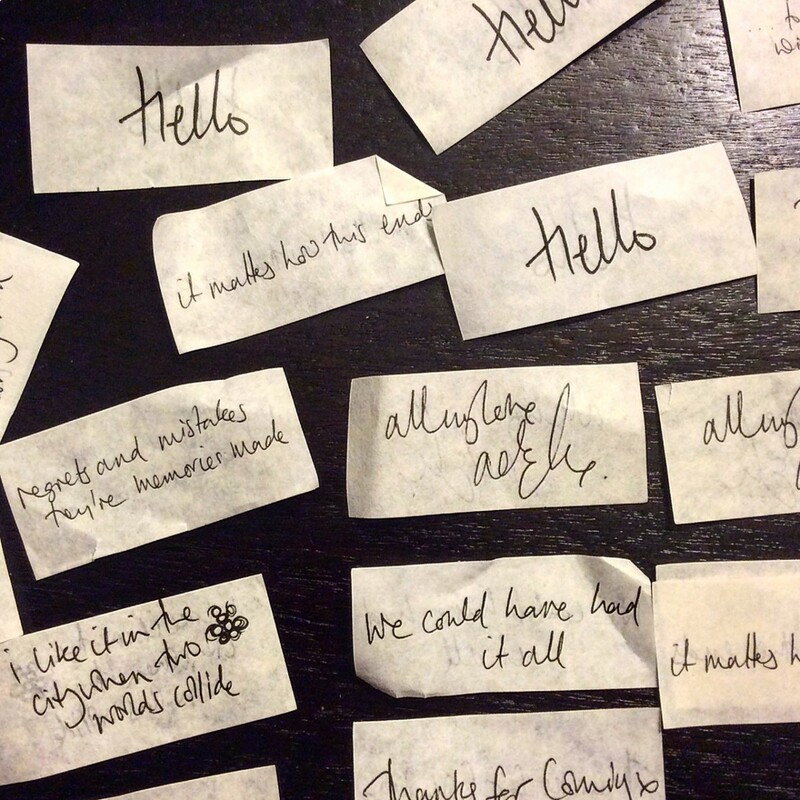 “I have so much to tell you,” she said, and treated us as if we were old friends with whom she wanted to catch up. She told us about the mug “from my family for Mother’s Day” that she was sipping from, said this was her ninth concert with 93 more to go, seeming exuberant and pleased. She added that she worried about whether her voice would hold up— so much that she had given up cheese and wine for the duration of the tour, and shared that she had woken up with a spot of acne, which she pointed to. “I’m nervous,” she said, “but I’m going to win you over tonight.” And she was grateful. “Thank you so much for coming out to see me” she repeated throughout the evening. Not many entertainers today have the confidence and fortitude to interact with a large audience on such an intimate and personal scale. “Enough about me,” she said, “I want to meet you.” She brought a boy from Brazil up to the stage thinking he had flown in for the concert. When she asked “When did you get here” and he responded “Last year,” she laughed as loud as we did. While singing the romantic “Make You Feel My Love,” she saw a man in the audience proposing to his girlfriend. She brought the couple up to the stage and when he said that they had dated 12 years she asked, “What the hell took you so long?” She insisted that the groom-to-be commit to a wedding date. From anyone else it might seem trivial and boring, and I would be tapping my foot waiting for the next song. But Adele is so funny, profane and honest that it was a delight to watch. Continuing to interact with individuals in the audience, she offered tickets to her Boston concert to fans who had come from Boston, and offered better seats to three women who yelled they had been asked to move because of inappropriate attire. 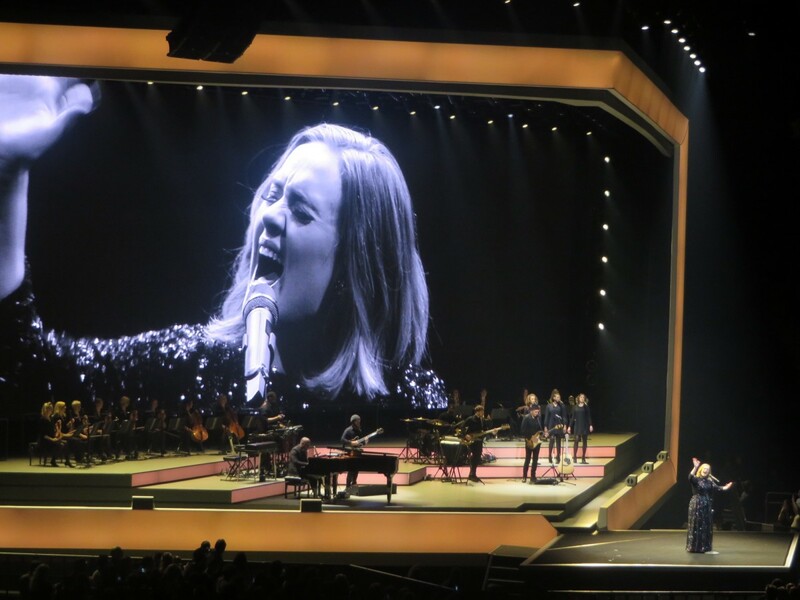 Adele performed for nearly two hours without a break, singing 18 songs. Her voice was powerful, her range dynamic and her delivery flawless. The stage set was sparse and sophisticated with her likeness alternating with films on large screens both behind and in front of the orchestra. Eight of the songs were from her album 25 and six and one from 21 and 19 respectively. She belted out “Skyfall,” which she introduced by saying “I suppose there is no way to say this humbly but I won an Oscar for this song.” And then off she went talking about going to the Oscars leaking milk (she was breast-feeding) and drinking too much champagne. 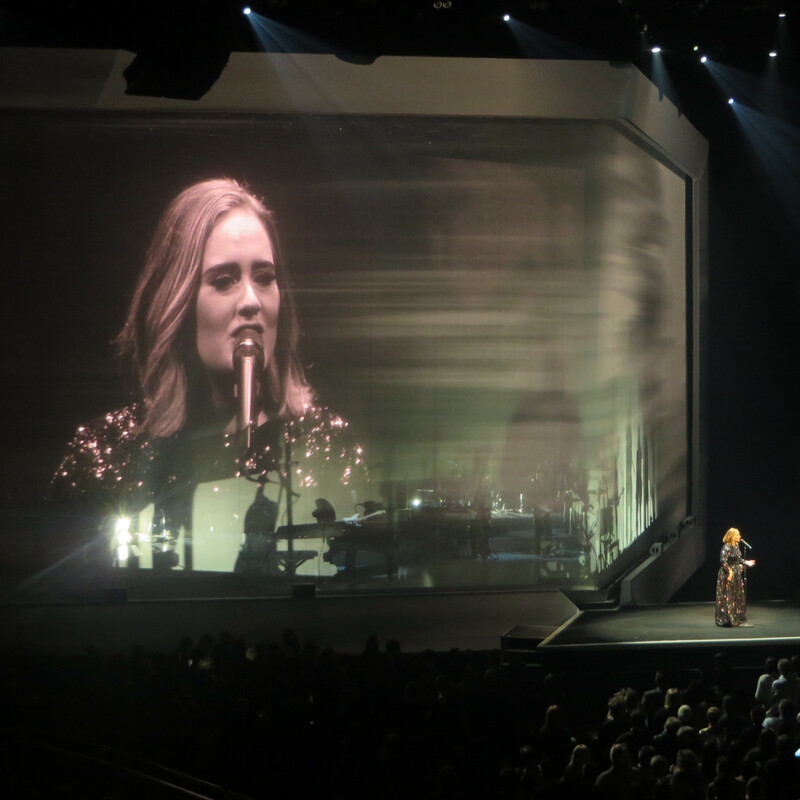 The main show ended on the small center stage with Adele leading the crowd in a rousing sing-a-long of “Chasing Pavements,” her blockbuster hit from 21. “I’m making a list of the 102 sing-a-longs of this song and we will see which group sings it the loudest” she said with a wink. 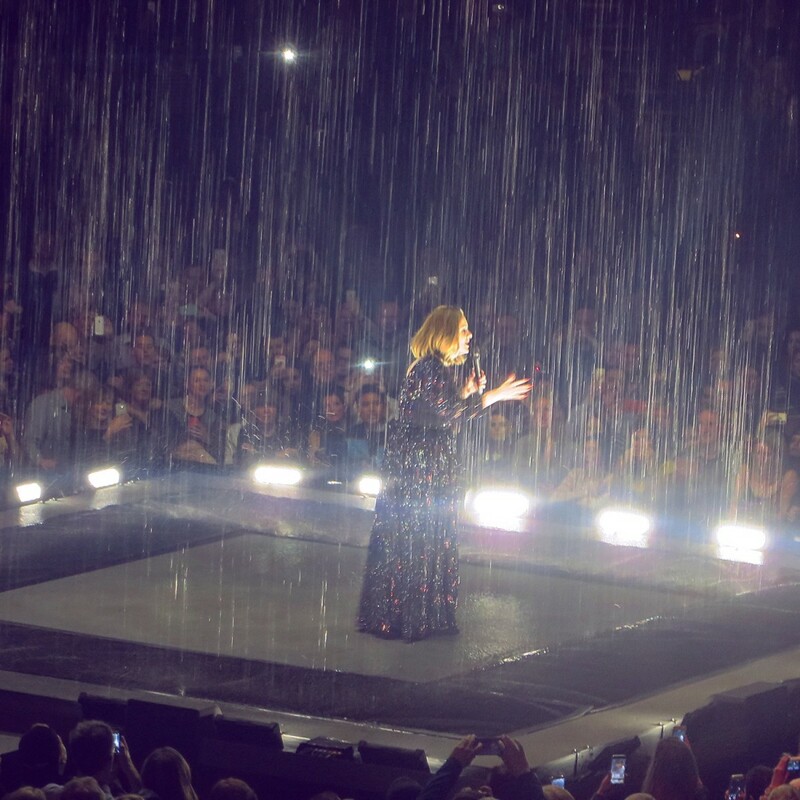 The closing and most emotional song of the evening was “Set Fire to Rain,” which she performed as a cascade of rain poured down from the ceiling all around her on the small stage. 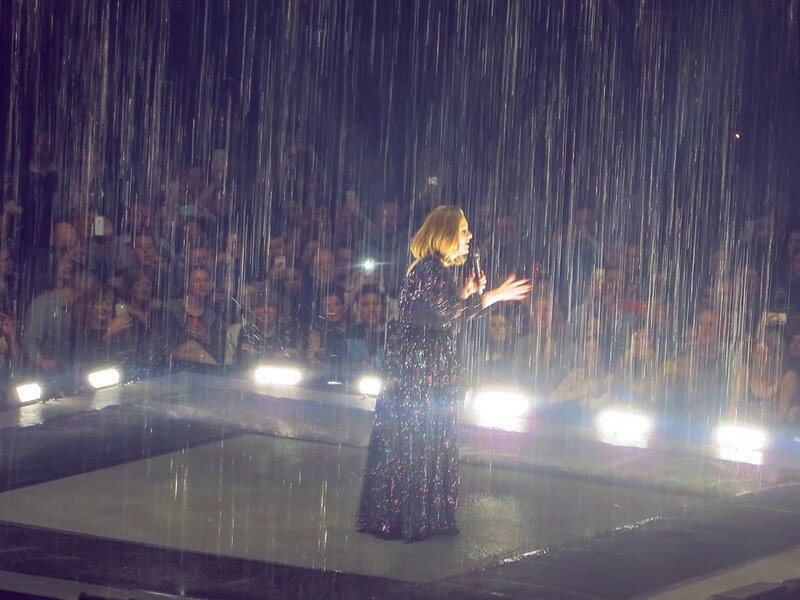 The rain was so heavy Adele looked like an apparition. At the end of the song the stage lowered and Adele was gone. The reaction was so emotional: many wept with joy. 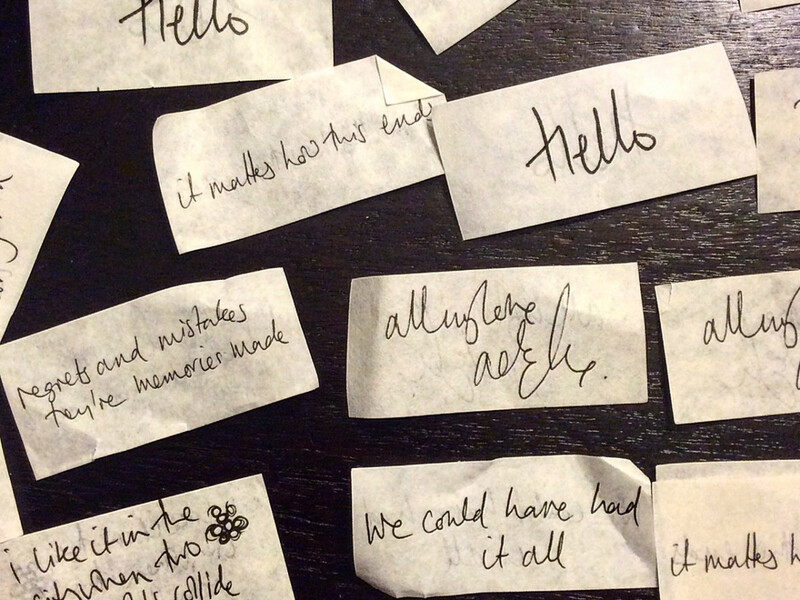 I tried to pick up as many as I could without being trampled and slipped several in my pocket to remind me of a magical night across the pond and sustain me until Adele arrives in Houston. 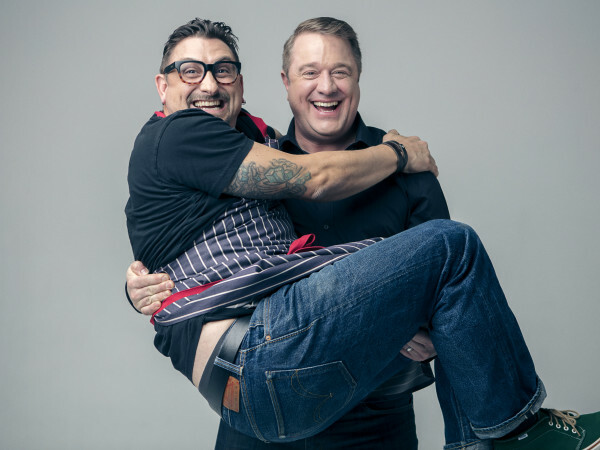 This will be the show to beat in 2016. This is a show for the ages by a unique and talented artist, the likes of which come along perhaps once in a generation.